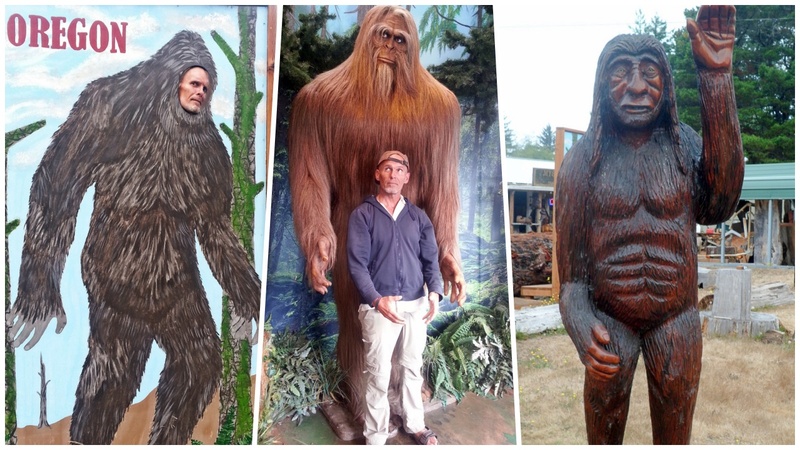 Tourist shops in Oregon and Washington states capitalize on the Sasquatch legend, pedaling coffee mugs, key chains, postcards, snow globes and similar stuff that feature the mythical forest dweller of the Pacific Northwest. My wife made it her mission to take as many Bigfoot photos as she could on our trip. I can't help feeling that the one on the right above is just a little bit racist.